The incident comes days after security forces killed Hizbul Mujahideen terrorist Sabzar Ahmed Bhat. The encounter between security forces and terrorists started around 3.30 am in Sopore today. 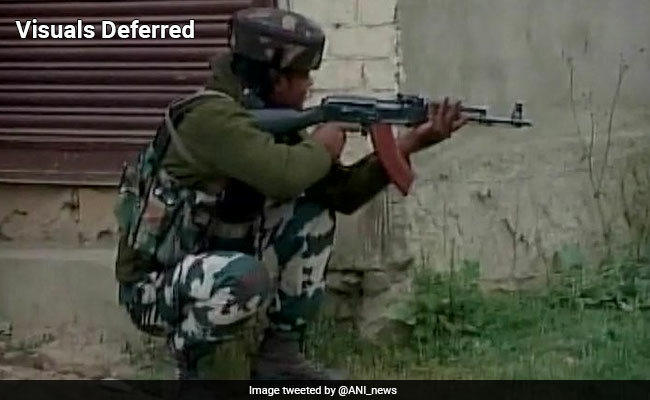 Two terrorists have been killed in an encounter with security forces Natipora area of Jammu and Kashmir's Sopore. The encounter is over. On Wednesday evening, four policemen were injured in a grenade attack. Two attackers were identified on basis of CCTV footage and the arrest of one of them subsequently led security forces to the house where the two terrorists were hiding. Security forces were carrying out a cordon-and-search operation after in Natipora when they were attacked around 3.30 am today, which led to the gun-battle. According to the police, two AK-47 rifles and other arms and ammunition have been recovered from the site of the encounter. The incident comes days after security forces killed Sabzar Ahmed Bhat, who succeeded Hizbul Mujahideen terrorist Burhan Wani, in south Kashmir's Tral region. The forces also managed to contain a major infiltration bid and eight terrorists, in all, were neutralised. Meanwhile, Pakistani army violated ceasefire in the Naushera and Krishna Ghati sector of Jammu and Kashmir. The Indian Army strongly retaliated.